Habitat: Abundant; roadsides, pavement edges, waste ground and gardens. Variable, a slender, branched plant that is either hairy or hairless. 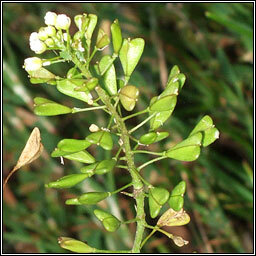 Erect racemes of small white flowers are followed by distinctive flat, triangular to heart-shaped fruit. 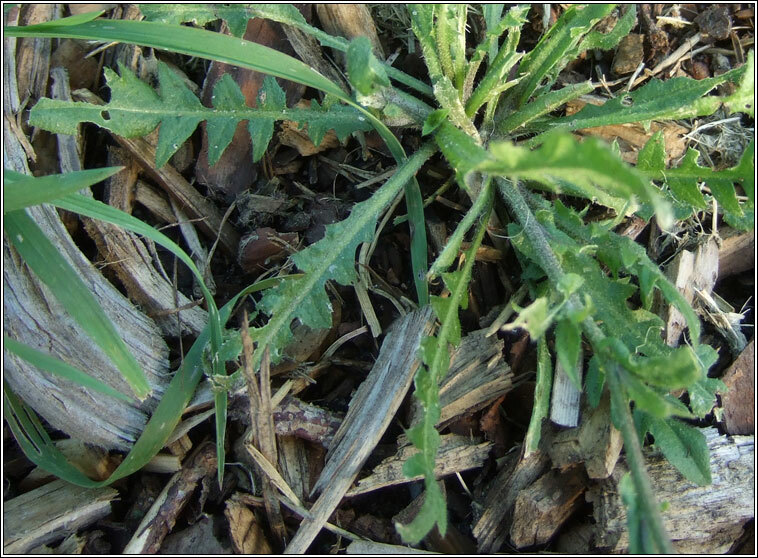 Leaves are pinnately lobed or undivided in basal rosettes, upper leaves stem-clasping.